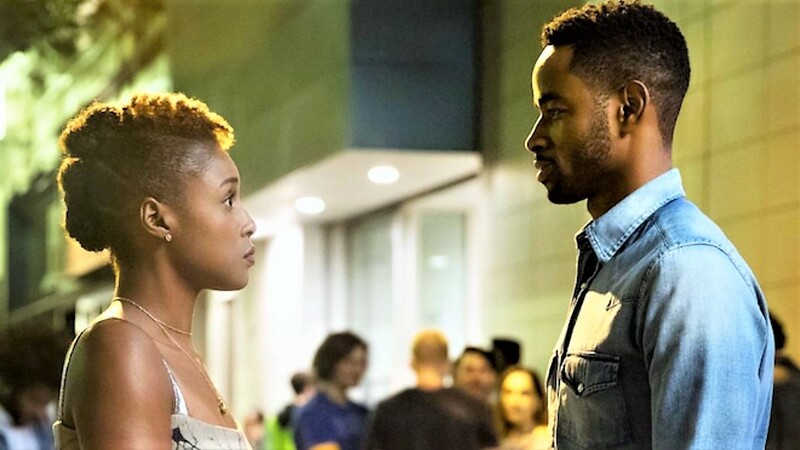 Fans are excited about the return of Insecure but we are split on how we feel about our beloved Lawrence being written off of the show. 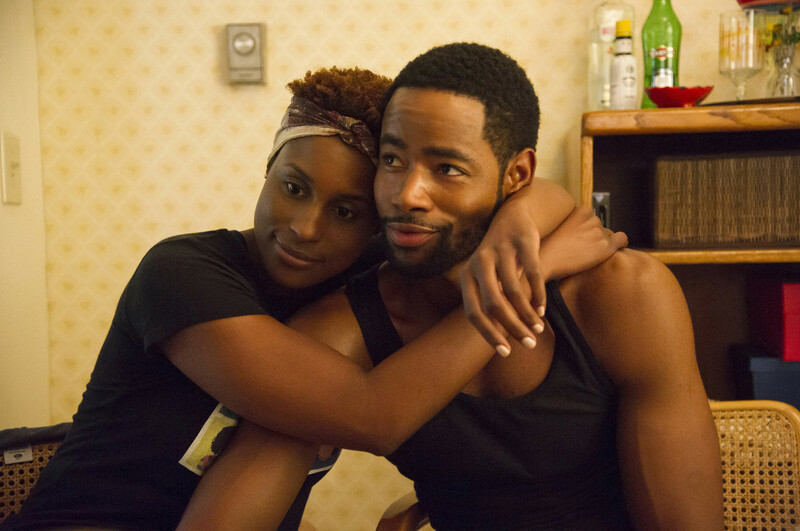 Last season ended with Issa and Lawrence having a final heart to heart about the demise of their relationship and brought some closure to both characters. With that in mind, the storytellers behind the scenes felt it was time to close that chapter in Issa’s life. When Jay Ellis appeared on The Angie Martinez Show a few months ago and revealed that he had not yet filmed any scenes for the upcoming season, I thought he was bluffing, at most. At least, he would surely be called at some point and make his return. Because after all, we’ve grown invested in both Issa and Lawrence. But, the writers room had a different plan. And, after certain cast members started causing buzz outside of the show, I knew for sure the role of Lawrence would be reprised. With the news that Dominique Perry and co-star Sarunas Jackson went half on a baby in real life, I was praying the real plot twist would be Tasha’s pregnancy as a storyline with Lawrence as the baby-zaddy and Issa trying to navigate her new single life with that turn of events. So much for wishful thinking! Regardless of how hard it is for me to let go, I appreciate the show’s commitment of art imitating life. Because, the reality is when a relationship is over, unless there’s a baby or business in the middle, you move on. Add in the fact that Issa and Lawrence didn’t have an entangled life that included close mutual friends - there’s nowhere to go from there. It’s actually a good lesson to apply in your personal life. Often times, we hold ourselves back by refusing to let go of people and situations that no longer serve purpose. How many of us can attest to the breakup to makeup, cat and mouse Chase we play in the name of love? All the while, our destiny is right in front of us but we are too fearful to take what appears to be a risk. So while the #LawrenceHive may be a little salty about him missing in action, fans have a lot of fuckery to look forward to. Because, as we have witnessed before, Issa and her crew are a walking trainwreck, like most women in their late 20’s and early 30’s, despite what our social media pages lead our followers to believe. Will Issa and Daniel become a “thing” and give their mutual attraction a chance? I’d prefer to not see the same games played in the upcoming episodes as in the past. I’d instead rather Issa be 100% single and delve into an eat, pray love type of excursion. More importantly, what will become of Issa’s career? The past two seasons she’s been on a rollercoaster ride with her job, allowing her personal life to take precedence. You’re in your 30s now girl, it’s time to lay down a foundation. The trailer also hints that this season will delve more into the relationships and storylines Issa shares with her good girlfriends. This, I am here for. As I’ve learned as I’ve grown, sistafriends are probably the most important relationships a woman has throughout her life. Our modern day Joan and Toni are forever up to mischief...together. 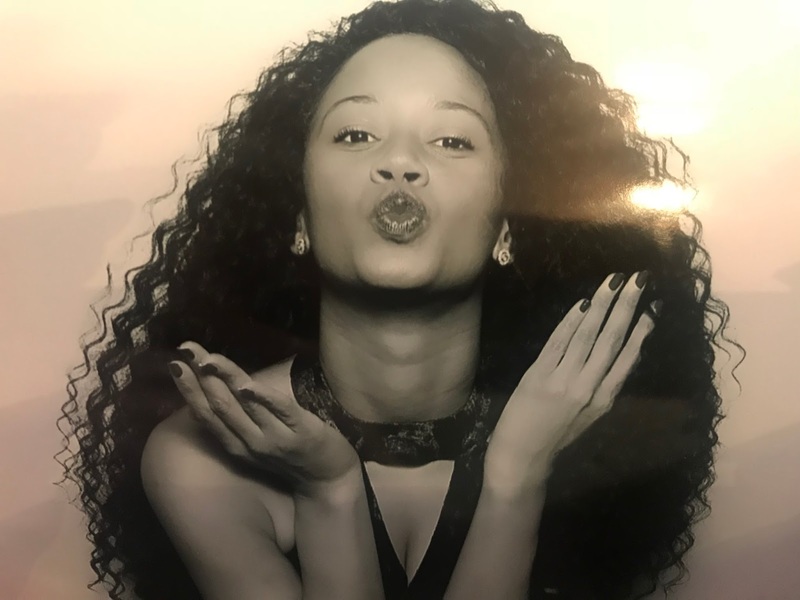 Molly and Issa will continue to share dating mishaps with Issa more than likely as a friend with benefits to Daniel and Molly continuing on in her affair with Dro while claiming to set boundaries with him and hopefully move on altogether. Molly, it’s 2018. Who has time for a man who isn’t available 24-7?! Tiffany will remain the bourgeois housewife with a bundle of joy on the way. But, if there’s anything we can take from last year, her picture perfect life appears to have some blurry negatives in the print. I suspect that this season will expose the facade that Tiffany puts on isn’t all that it seems. And with my favorite Kelly, the down to earth friend and comic relief, she’ll keep the group centered and thrive the most both personally and professionally. I anticipate Kelly to be the breakout star this time around as she’s proven she can hold her own and shines when the camera is turned on her. In spite of my disappointment, along with every other Insecure stan about Lawrence getting the axe, I’m excited for what’s to come. I’m looking forward to the glow-up potential this season has in store for its central characters. 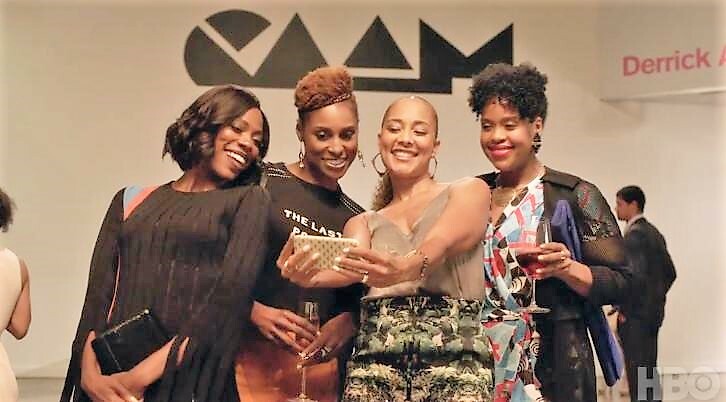 Hopefully, they go from Insecure girls to confident women and end season 3 with a bang! And who knows, maybe he’ll make a resurgence in season 4! What are you looking forward to for season 3?